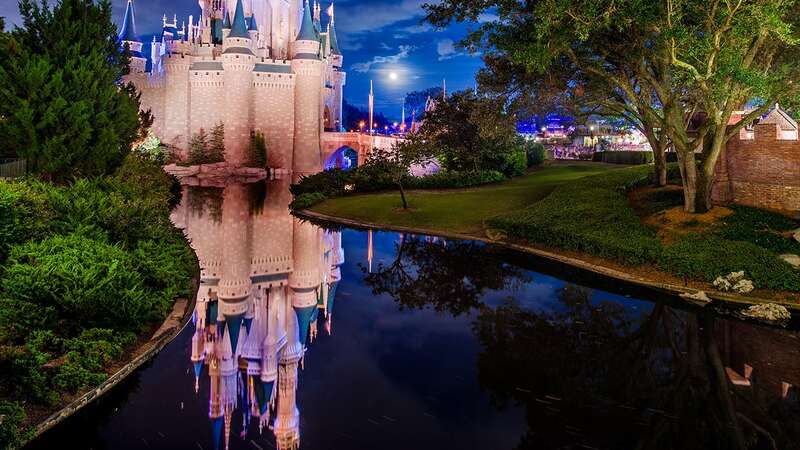 As Magic Kingdom Park’s 45th anniversary approaches this fall, this new weekly series will take a look at one of the park’s opening day attractions that can still be enjoyed today. This week, we’ll focus on the Walt Disney World Railroad. There’s just something about steam trains. Their history. Their bright colors. Their sights, sounds (and steam!) just signify you’re about to embark on an unforgettable adventure. 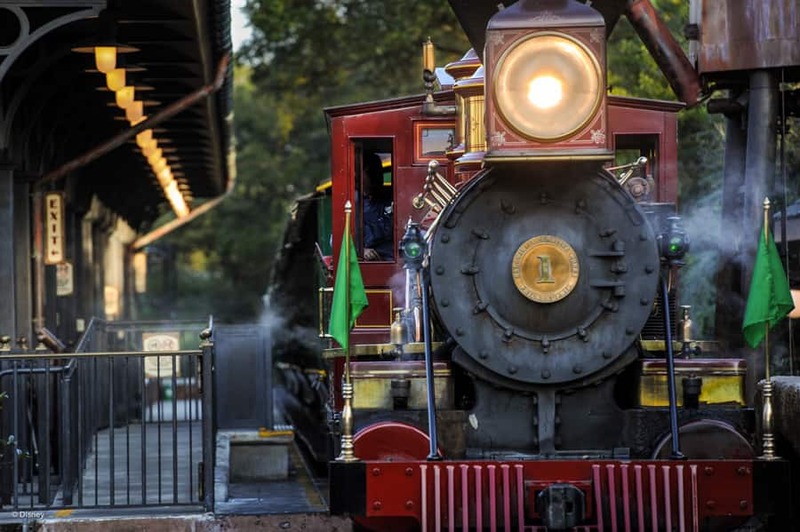 The Walt Disney World Railroad debuted at Magic Kingdom Park on opening day to feature four steam trains with turn-of-the-century charm. Steam trains at a Disney Park are a tradition that started with Walt Disney himself, who considered a steam train a must-have in his plans for Disneyland park in California years earlier (and once even had a scaled-down version of a steam train called the Carolwood Pacific constructed in his own backyard). When planning a train system for Magic Kingdom Park, a fleet of four locomotives were purchased, each with their own interesting history. Manufactured by the Baldwin Automotive Works of Philadelphia between 1915-1928 for the United Railways of Yucatan, these trains spent years transporting jute and sugar through the Yucatan Peninsula. The locomotives were restored, repainted and put in place in time for the park’s opening on October 1, 1971. Since opening day, the Disney fleet has consisted of three locomotives named after members of the Disney family – the Walter E. Disney, the Roy Disney, and the Lilly Belle (after Lillian Disney). A fourth train is named after Imagineer Roger E. Broggie. Over the years, not much has changed with these moving pieces of history – especially the amount of joy they bring to our guests. Don’t you mean the Baldwin Locomotive Works? Baldwin wasnt IN the car making business. Sir Duchez: Lilly Belle has been at Strasburg Railroad in Pennsylvania for a refurbishment since 2010 – and *just* recently returned last week (July 20, 2016). She still has to undergo some more in-park testing and recertifications before she’ll return to regular service. <<—- Former WDWRR Conductor and Engineer. My 10-year old son would love to take “The Magic Behind Our Steam Trains” tour when we visit this year after Thanksgiving. However, no dates are shown as being available after Oct 31, 2016. Is that tour available after Oct 31? Thanks! Lilly Belle runs every morning! It’s the show train that opens the park! Should be “Locomotive” not “Automotive” as Baldwin did not have manufacture automobiles. Gaspar – as a train lover if you ever visit WDW you should look into the “The Magic Behind Our Steam Trains” tour. It is an early morning tour, before The Magic Kingdom opens, which includes a ride on the train back to the engine house and a chance to get up close with an engine and learn a lot of about their history. My father and I had been meaning to do it for a number of years, but it seemed like we were never at the parks at the right time (the tour isn’t offered every day, and there are weeks when it isn’t held at all) – but we finally did it on a recent trip and I’m glad we did. Being a train lover from Mérida, Yucatán, it is very interesting to me the history of the Walt Disney World Railroad. Almost can’t believe those locomotives were used here! And, surprisingly, there is still a similar locomotive at the museum of the United Railways of Yucatán. Lilly Belle is correct. But it’s the only engine that doesn’t run around the park. You mean Lillie Belle, right?